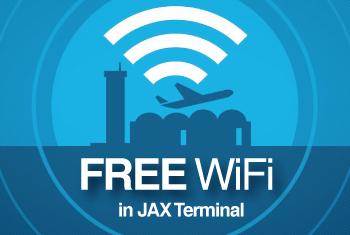 The Jacksonville International Airport (JAX) Ambassador Program plays an integral part in fulfilling the mission of the Jacksonville Aviation Authority to become "The Best Airport System in the World." The Ambassador Program was founded to assist travelers in locating such things as arrival and departure gates, telephones, baggage claim, and ticketing areas. Ambassadors provide assistance in a friendly, timely, and courteous manner that promotes a more enjoyable experience for all of our airport passengers. 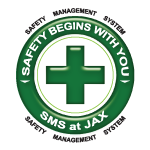 Ambassadors also provide valuable customer feedback concerning areas for improvement of our Jacksonville International Airport(JAX) facilities and services through submission of daily activity logs. Today over 50 Airport Ambassadors dedicate more than 550 hours of volunteer service each month. Most of our Ambassadors are retirees who volunteer to give back to the community,engage in regular exercise, and partake in fellowship and fun with our travelers. Each semester several university students serve as Ambassadors to fulfill community service requirements for graduation. The qualifications to become an Ambassador are a friendly personality, ability to volunteer a minimum of four hours each week for at least six months, attendance at a program orientation session, and a willingness to learn about JAX and the services available to travelers. In appreciation of their efforts, Ambassadors receive a meal voucher redeemable at various airport restaurants for every four hour shift. They also receive complimentary parking at the terminal. For many of our ambassadors, the greatest reward is the gratitude of the passengers. If you are interested in becoming an Airport Ambassador, please contact the Jacksonville Aviation Authority Customer Service Coordinator by phone at (904) 741-2006 or by e-mail(francois.beuse@flyjacksonville.com).